Custom Executive Gifts for the Holidays | TJM Promos, Inc.
As the holidays approach, you might be wondering how you can show your appreciation to valued customers, clients and employees. Now is the perfect time to order custom executive gifts for the holidays. Custom products keep your brand in front of customers. Give them something they can use and appreciate, and they’re sure to think of your company when they’re ready to buy your product or service. 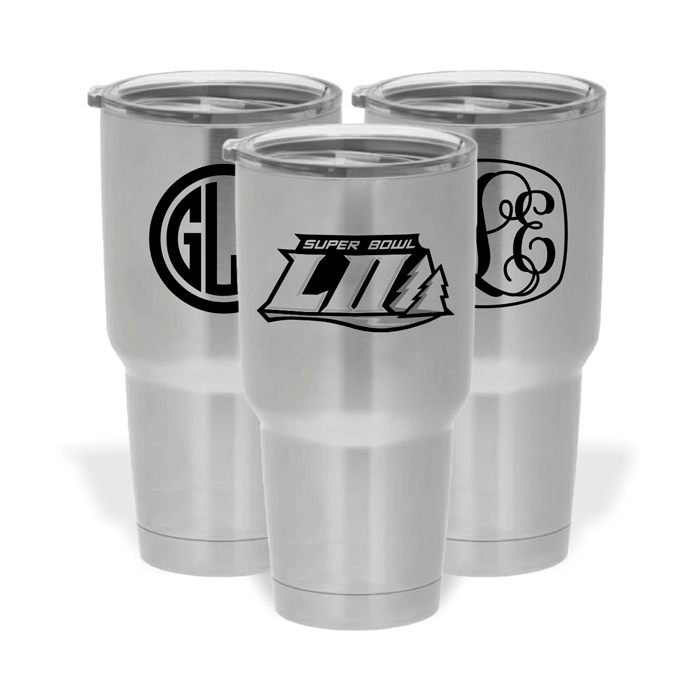 Custom drinkware puts your brand or logo right into your customers’ hands on a daily basis! It’s a great way to say thanks in a way that people will appreciate. Choose from ceramic mugs that are perfect for morning coffee or tea at home or in the office. For something more upscale, go for insulated tumblers from brands such as Yeti, RTIC or Polar Camel. That’s a gift recipients are sure to enjoy, and when imprinted with your logo, will make them think of your company too. In today’s connected age, virtually everyone appreciates electronic gifts. It’s just about impossible to find someone who doesn’t need at least one more charging source for their phone or tablet. Put your name on plug-in chargers or portable power blocks and your customers will get a charge out of seeing your name! Need something more upscale? How about custom imprinted Bluetooth speakers? Customers on the go are sure to appreciate a portable way to listen to their music, podcasts or news. These are custom executive gifts big enough to give your logo great exposure. Custom apparel is the perfect gift for members of your team. Tee shirts, polos and jackets imprinted with your logo are an ideal way to show your staff that you appreciate them, and promote your brand at the same time. Available in a wide range of styles, materials and colors. Custom umbrellas are an outstanding gift for golfers and others who are frequently outside. Golf umbrellas are big enough to give keep your clients dry and put your logo out there in a big, bold way. If you want a more elegant gift, desk accessories are perfect for managers, buyers and others. Desktop organizers in wood, leather or metal are attractive enough for virtually any environment, and will leave a lasting positive impression of your brand. With more than 800,000 custom promotional products available from TJM Promos, there’s sure to be an executive gift that’s ideal for your organization. Call us today, toll free, at (800) 423-0449, or email us at [email protected]. Let us show you how custom executive gifts can increase your bottom line! This entry was posted in Posts and tagged apparel, desk accessories, electronics, executive gifts.